Naraeon NVMe Tools is a FREEWARE. USE AT YOUR OWN RISK. What is Naraeon NVMe Tools? 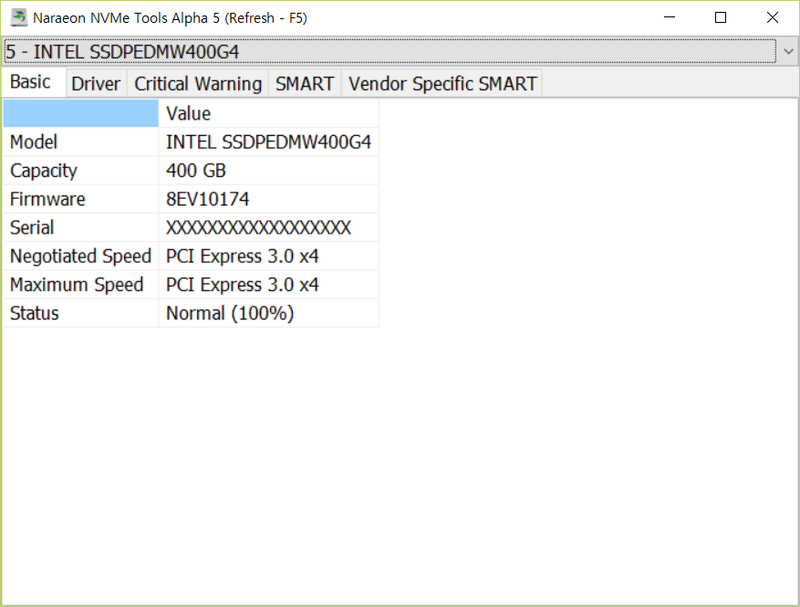 Naraeon NVMe Tools is an open source NVMe SMART / Health Information Log Viewer on Windows.